Food obsession is a food addiction. Stop the food addicts addiction. Food obsession can stop. Binge eating, compulsive overeating, anorexia - they are compulsive. Eating attitudes can get healing. This behavior is characterized by being preoccupied with food. You think about food most of the time. You obsess over it. Too fat? Overeating? Starving by not eating? They go to sleep thinking about food and wake up thinking about it. They're obsessed. The behavior goes against your better judgment, but you can’t stop. As much as you try to stop, you’re preoccupied with your weight and your body image. Anorexics are intensely fearful of being ‘fat’. They are always weighing themselves, and looking at themselves in the mirror.. 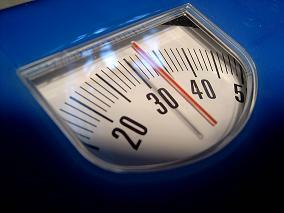 They measure themselves and their self esteem is dependent on how much they weigh. Being thin is an achievement. It demonstrates to them that they have self control. Symptoms: Anorexics may not have regular menstrual cycles and their cycle can stop completely. They can also demonstrate signs of malnutrition – thinning hair or loss of hair, pasty skin, feeling bloated etc. There may be fainting and body weakness. Although they may be starving, their perception of anorexics is that they are still fat. Bulimics starve themselves, binge by overeating and then purge to prevent themselves from gaining weight. They are embarrassed by their behavior and try to hide it from others. Once in a binge, bulimics eat quickly and often eat everything they can. Many use laxatives but most (80%-90%) induce vomiting. They also fast and participate in excessive exercising. Symptoms: Vomiting erodes the enamel in the teeth. They have irregular menstrual cycles, dental cavities, enlarged saliva gland and they become dependent on laxatives to move their bowels. Although they damage their bodies through binging and purging to lose weight, bulimics are not underweight. They are average and often larger than average weight. Compulsive over-eaters binge eat or eat all the time. They don’t control their weight and lose control over the amount of food that they eat. Over-eaters have moderate to severe obesity. They usually binge on carbohydrates and junk food and similar to the other eating disorders, compulsive over-eaters feel very guilty and their behavior is usually secretive. There are many variations of these behaviors. If you think you have a food obsession, take the test and see. The obsession is not always extreme. You may need treatment in a hospital or a facility specializing in eating disorders. Less severe problems can be helped with counseling to change your eating habits. Coaching is effective to conquer a food obsession. Coaching is not therapy. It's strictly directed on your goal. You and I work as a team to achieve the goal that you're looking for. Need coaching? Healing food obsession means breaking the addiction. Like other addicts, food addicts suffer in pain.